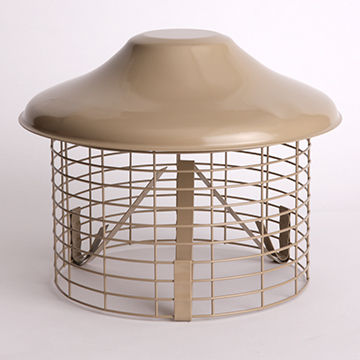 The Topguard can help you with both of these troublesome issues. 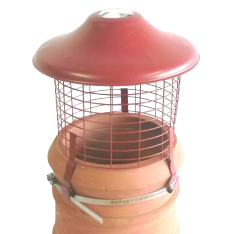 Available in mild steel with durable zinc plated and powder coat finish or stainless steel which is available in a natural or painted finish. 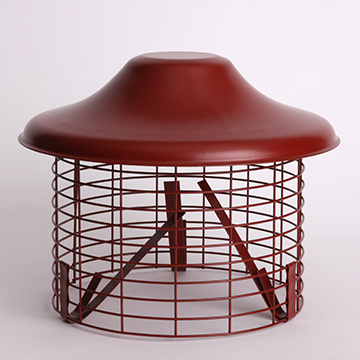 The Topguard is suitable for solid fuel, gas and oil appliances and is available in standard height (200mm) or low profile (150mm) which offers enhanced rain protection. 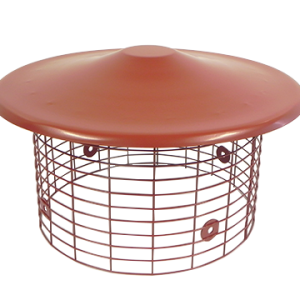 The Topguard can be used in conjuction with the Twinwall Adaptor and The Pot Hanger Adaptor, these items can be purchased separately or as an assembled unit. 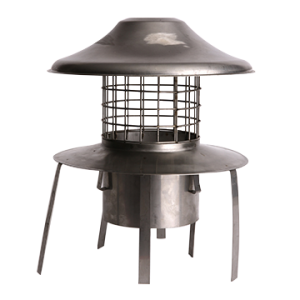 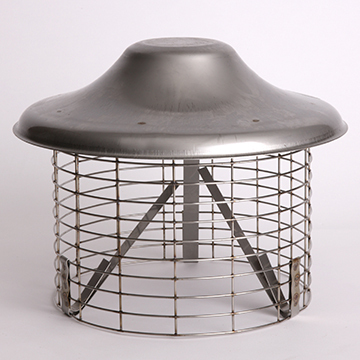 Suitable for flues from 125mm to 250mm and complies with BS5871 Terminals up to 250mm. 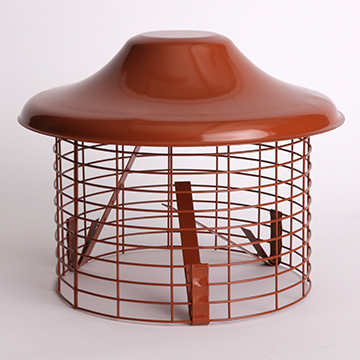 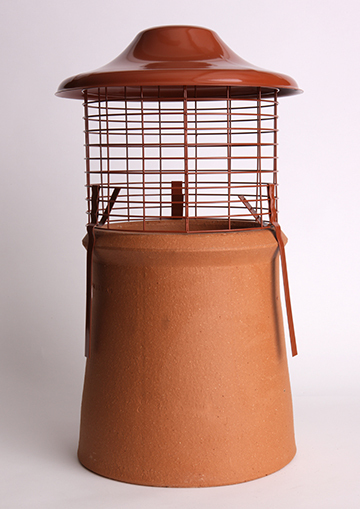 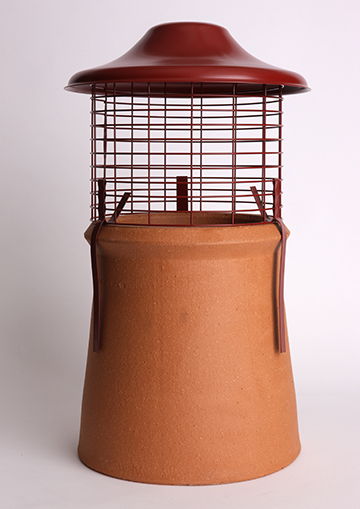 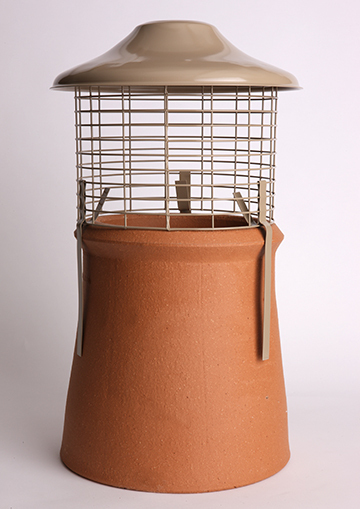 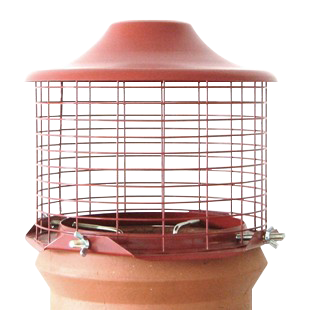 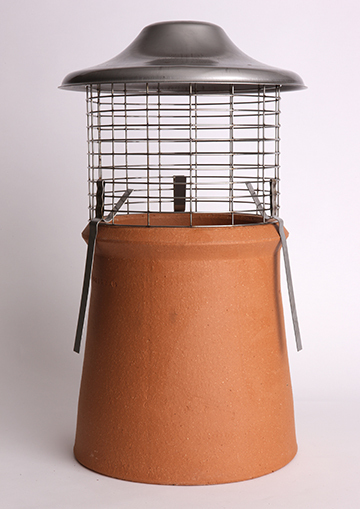 The Topguard can be fixed to the chimney pot with jubilee band and straps or with a hook bolt kit.